Are you paying taxes in Oregon? Consider a charitable donation to Habitat for Humanity by designating your tax refunds! Last year Habitat Portland/Metro East provided affordable homeownership and repairs to 52 hardworking families in Portland and Gresham. Habitat homes are sold with an affordable mortgage and no down payment, with the families responsible for closing costs of about $2,000. With each mortgage payment, the generosity of volunteers, donors and in-kind contributors will be paid forward for years to come. Step 1: Fill out Schedule OR-D 2015: Oregon Charitable Checkoff Donations, locate Habitat for Humanity of Oregon (Line 17), fill in your donation amount. Step 2: Enter total of donations line 46 of Oregon Tax Form 40. $25 provides a gallon of paint to beautify and weatherize a Habitat home. $50 buys a sturdy and secure front door for a Habitat home. $100 builds one square foot of a Habitat house. 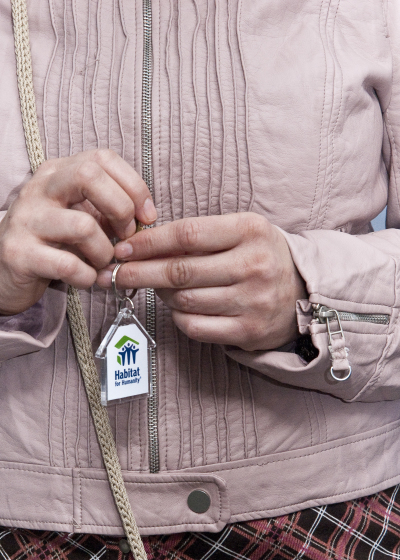 $500 keeps a Habitat family warm by installing a home heating system. $1000 frames a child’s bedroom in their new Habitat home.